What Does It Mean To Be A Member Of UA Local Union 178? Did you know that, on average, a Local 178 union member earns approximately $8.32 per hour more (after union dues and assessments) in wages than their non-union peers? 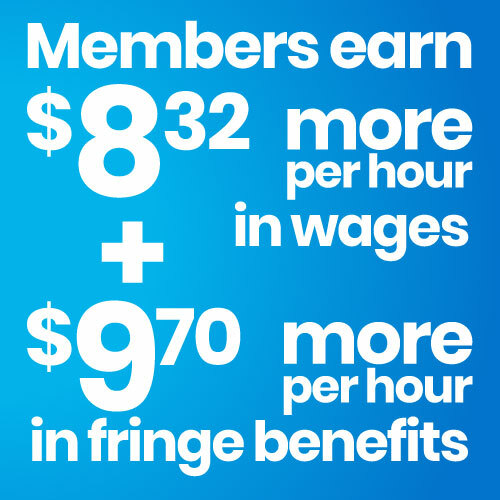 Did you know that, on average, a Local 178 union member earns approximately $9.70 more per hour in fringe benefits than their non-union peers? 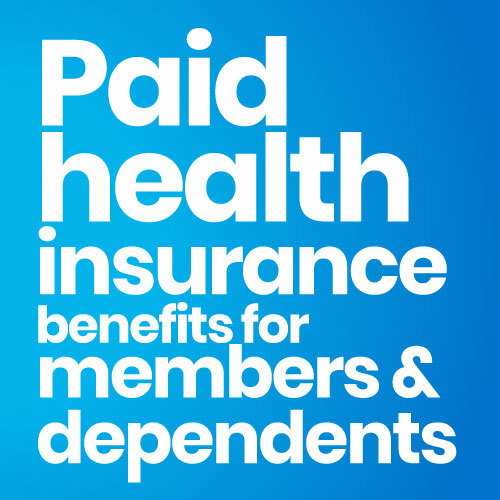 Did you know that local union 178, along with its trustees, administers, on behalf of its membership, a self-funded health insurance program that provides benefits to its membership and dependents? This program is funded by employer hourly contributions. Did you know that local union 178 provides a life insurance policy for all active health & welfare plan participants? This benefit is funded through the hourly employer contributions made on your behalf and provides a benefit to you and as well your dependents. Did you know that our International Union (United Association) provides a death benefit to your designated beneficiary? Did you know that local union 178 provides a death benefit to your designated beneficiary? Did you know that, through local union 178 and via employer contributions, local 178 members participate in the Plumbers & Pipefitters National Pension Fund? This fund is a “defined benefit” plan. Your future monthly pension benefit is accrued based upon hours worked and the hourly contribution rate contributed on your behalf by your employer. Did you know that local union 178, along with its trustees, and on behalf of its membership, administers a “defined contribution” pension plan? Your individual pension account is funded through hourly employer contributions. The current hourly contribution is $3.40 on commercial work; $2.30 on residential work, and $1.55 on HVAC installer work and residential work. Did you know that local union 178, along with the joint apprenticeship and training committee, and on behalf of its membership, offers one of the most respected apprenticeship training programs in Southwest Missouri? Approximately $225,000 annually is invested in the training of apprentices and journeymen. Did you know that local union 178, along with the joint apprenticeship and training committee, and on behalf of its membership, offers trade related courses and certification opportunities to all local 178 journeymen? Did you know that local union 178 administers, on behalf of its membership, a fund that is used to promote your skills as a union tradesman, to assist signatory employers in gaining market share and related man hours, educate the general public and end users, and to foster good will in our communities? This fund is called the Public Relations and Education Program (PREP) fund. The purpose of this program is to assist employers in gaining market share and related man hours for the local 178 members by subsidizing the hourly labor rate on selected projects. This program helps to enforce and support the fundamental principle that we have a moral responsibility to show compassion to the less fortunate around us. For this reason, local union 178 donates funds to various non-for-profit charitable organizations, provides assistance to individuals in our community, and those of our own membership. Did you know that local union 178 has financial standards/policies in place that require annual audits of all local union funds by Independent Certified Public Accountants? This means that a minimum of five audits are performed every year. These same audits, along with other financial information, are reviewed by your finance committee and executive board, and then reported at a monthly membership meeting. In addition, over the years, the U.S. Department of Labor has performed multiple routine random audits of our local union funds. Your local union welcomes these auditing procedures as a part of fulfilling our responsibility to its membership in being good stewards of your money. Did you know that local union 178 has monthly membership meetings? These meetings consist of the conducting of various local union business, various reports and information given by the business manager/financial secretary-treasurer and your business agents/organizers, and related discussion.